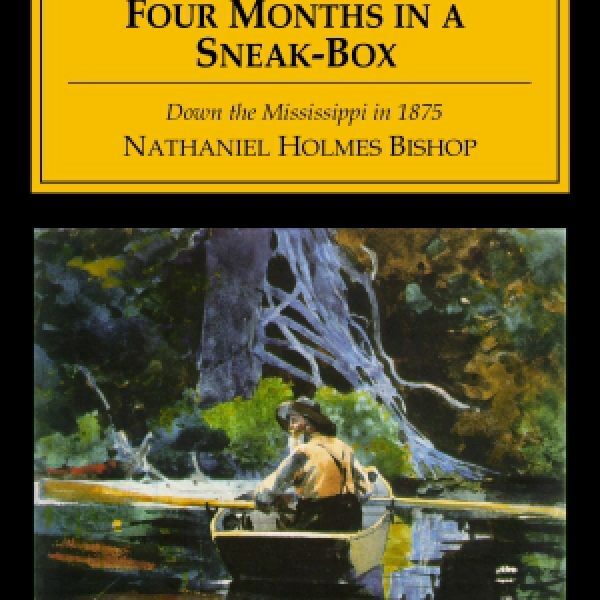 Four Months in a Sneak-Box is a masterpiece of early American travel writing, ranking with Twain’s Life on the Mississippi. 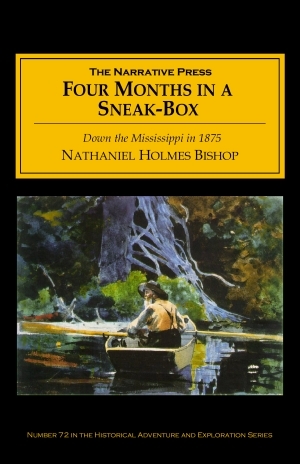 In December, 1875, Nathaniel Holmes Bishop arrived in Pittsburgh and launched his small boat into the Monongahela River, which soon joined with the Allegheny to become the Ohio River, which took him south to the Mississippi, then to the Gulf of Mexico and the mouth of the Suwannee River 2,600 miles later. His craft was a Barnegat Bay Sneak-Box – a cedar duck hunting boat only 12’ long 4’ wide and 13” deep, which he christened the “Centennial Republic.” While tiny, it was capable, riding atop ice flows, hiding at night from “rough characters,” as well as the drunken crews of shanty-boats, in eddies and drainage ditches at night, and slipping up on wildlife. Like Twain, Bishop is an omnivorous observer: he mulls over steamboats, industry, politics, pollution, geography, and – most of all – nature. I peered through the branches of the forest to catch a glimpse of what I had searched for through many hundred miles of wilderness since my boyhood … the Carolina Parrot. People of all colors and cultures fill this narrative, too, but the people of the shanty-boats particularly catch his eye. They form floating towns all to themselves. 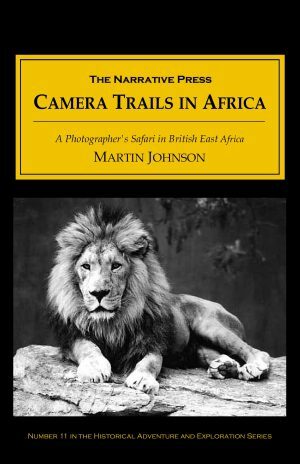 Bishop’s sense of joy in this highly entertaining, historical, and off-beat travelogue is contagious. One of the chief charms in a boatman’s life is its freedom, and what that freedom is no one knows until he throws aside the chains of every-day life, steps out of the worn ruts, and, with his kit beside him, his oar in his hand, feels himself master of his time, and free. Bishop’s two other wonderful books, The Voyage of the Paper Canoe and The Pampas and Andes, are also published by The Narrative Press.